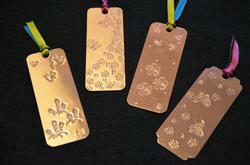 Have One of Iiyama’s Master Craftsmen Show How to Engrave Brass. Iiyama City is famous for the high quality of the Butsudan's (Buddhist altars commonly found in Japanese homes) made here. The process entails the coordination of a wide variety of craftsmen, from carpenters and woodcarvers to metalsmiths and lacquer workers. As a result, many highly skilled craftsmen make their home in Iiyama. 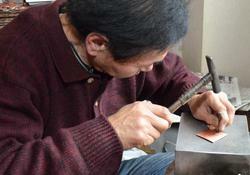 One such master craftsman, Washimori-san, is happy to share his knowledge of copper engraving with visitor from overseas. Closed Mondays and around New Years. Instruction in Japanese with lots of body language. Groups are requested to bring an interpreter.